Life’s major events aren’t always predictable, and the changes they bring aren’t always positive. David Williams, a Pennsylvania landscaper formerly employed by TruGreen, likely understands that sentiment better than most. David was minding his own business, driving a company truck down a highway in Clinton County, Pennsylvania, when due to no fault of his own the vehicle rolled. The catastrophic accident resulted in irreversible spinal injuries, leaving him a quadriplegic with little hope for further recovery, even after several surgeries. Investigators eventually determined the rollover was the result of a bald tire on the company vehicle. The settlement, decided nearly five years later, was record-setting for the county, totaling approximately $26.55 million. There are several important lessons about personal injury lawsuits that you can glean from this event. Let’s say for example that David was self-employed and owned his own truck. If the scenario played out the exact same way the only defendant in the case likely would have been the repair shop tasked with replacing or rotating his tires. If he paid them to do that, was assured the job was properly completed and then the accident happened, that shop could be culpable for his injuries. But that’s just one auto shop. Maybe it’s a small operation with shallow pockets and inadequate insurance. In a situation like that, the limited resources of the only defendant in the case likely would have resulted in a far lower settlement figure. In this particular case, however, there were several defendants. Because David was driving a TruGreen truck, and it is his employer’s responsibility to properly maintain company vehicles to ensure the safety of employees, TruGreen is also culpable. At the time TruGreen was owned by ServiceMaster, although they have since, as of 2014, split from ServiceMaster and are now privately held. But because ServiceMaster owned TruGreen at the time they were also held liable, as they are also responsible for the actions of their subsidiaries. The initial mistake in the actual vehicle maintenance was allegedly made by a fleet service company, Dickinson Fleet Services. So they too were a defendant in the case. The lesson? 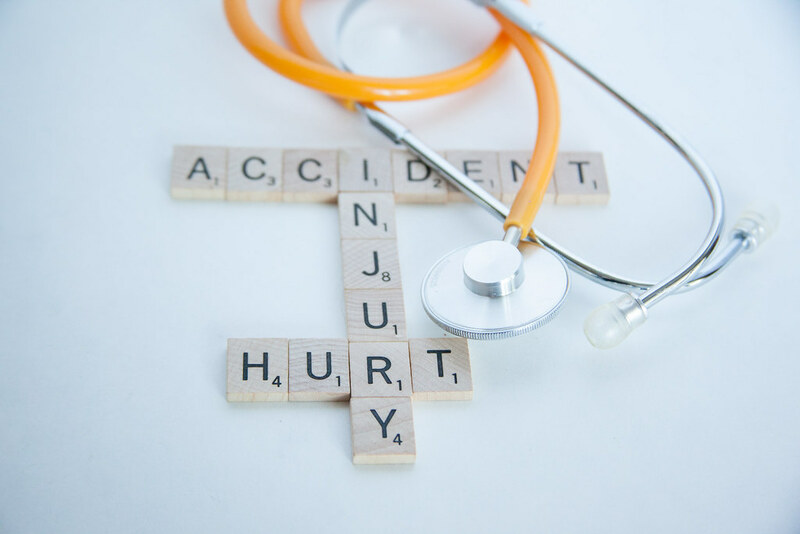 If you’ve been injured in an accident that was caused entirely, or even in part, by another individual or company, keep in mind there is likely more than one potential defendant. David and his family likely received some kind of monetary support, either in the form of pre-settlement financing or through other means. Families considering filing a personal injury lawsuit often have to worry about how they’re going to get by until the settlement finally comes in, and most can’t maintain their lifestyle for the next five or more years without any income. That is one of the reasons, unfortunately, that some choose to accept a smaller settlement than they deserve. They assume that getting something now to pay for medical bills and living expenses is better than becoming destitute waiting for a justifiably higher settlement. If you’re thinking along those lines, call the local Portland and Lewiston, Maine area personal injury attorneys at Hardy, Wolf & Downing. They have faced all these scenarios before, and have solutions to help you make ends meet should you have a legitimate case. Why Should You Call Hardy, Wolf & Downing if You Are Injured in Maine? $26.55 million settlements like the Williams family received are not everyday occurrences, but the personal injury professionals at Hardy, Wolf & Downing also have an impressive record of settlements and verdicts they’ve won for deserving clients who suffered tragedy due to the actions or negligence of others. If you have been injured in an accident in Maine, you owe it to yourself and your family to call Hardy, Wolf & Downing at 1-800-INJURED.